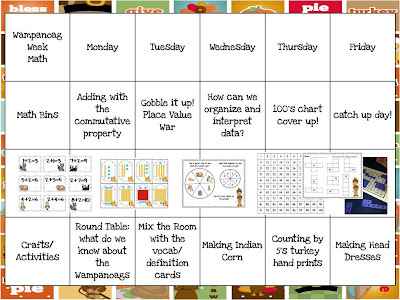 A Day in First Grade | Sunday night: lesson plans! Today I felt UBER productive!! I went to church, cleaned my house, enjoyed some lovely smelling fall candles and Scentsy scents and bought and hung new curtains for my bedroom! I have lived in my house now for 3 years and have not had curtains in my bedroom. I figured it was about time…. I went to World Market today after church (well, honestly it was after I scarfed down a Mighty Fine burger and fries because I was STARVING) and went on a mini shopping spree. I found these really cute curtains to match my grey bedroom AND new Christmas plates. 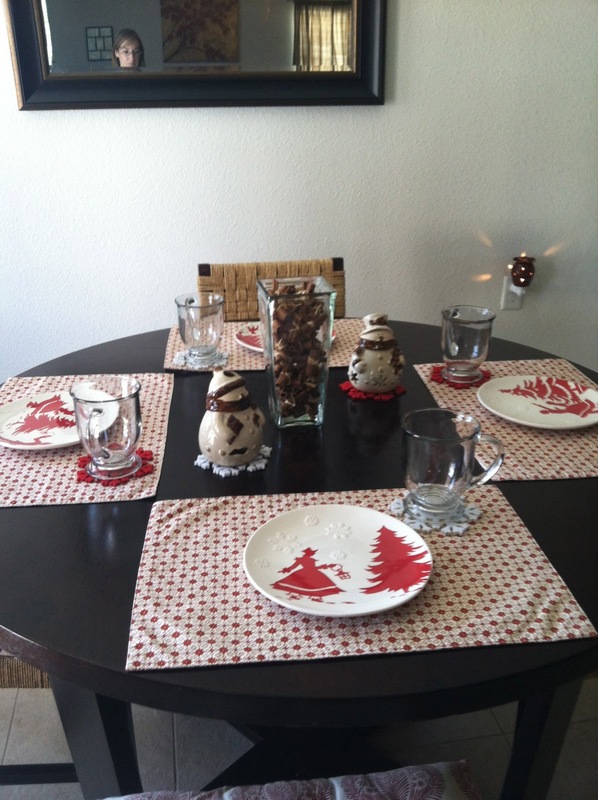 I know… I’m kinda skipping Thanksgiving with having this already out on my kitchen table but I really like them!! Okay. I digress. Back to school! So what am I teaching this week? Here’s a peak! This week I will be focusing on the Wampanoags. 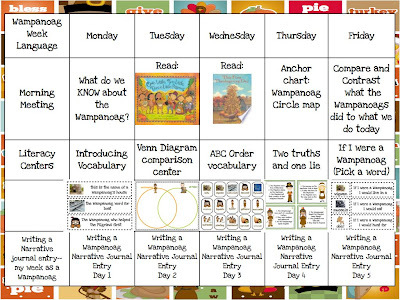 I will be using my literacy centers and activities from my Wampanoag Unit available at my TpT store. 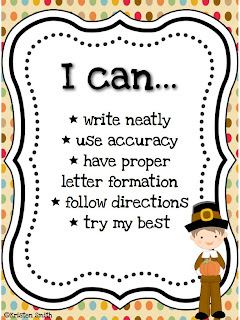 During Morning Work we will work on our handwriting through writing about the Pilgrims, Wampanoags, and Thanksgiving! Of course I have a freebie for you! 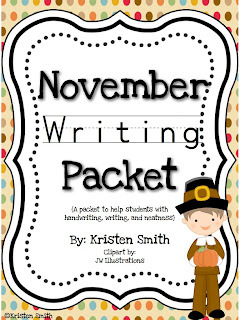 This is taken from my November writing packet. 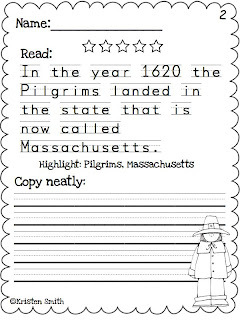 Click HERE to get taken to 4 sample pages and a poster you can hang on your board to remind your students about 5 star handwriting! 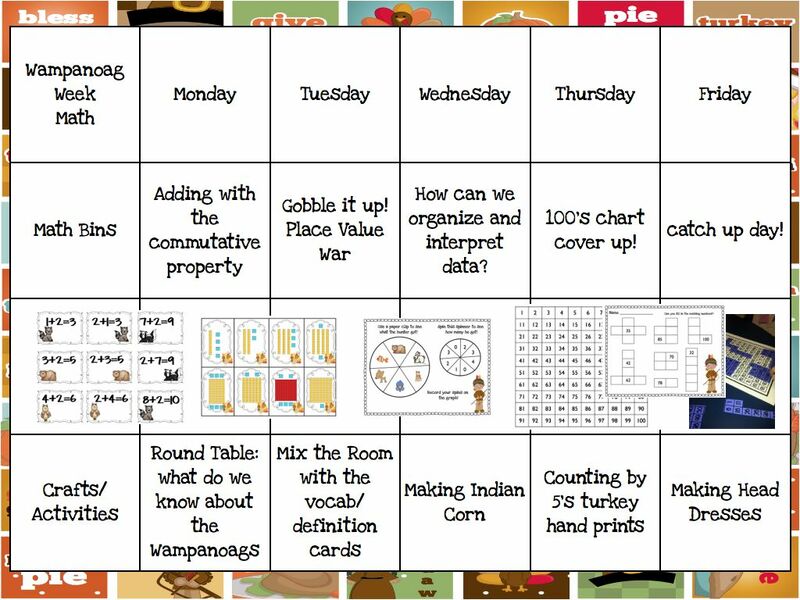 This week in Math we will focus on the commutative property of addition, time, and counting dimes and pennies. We also will continue to review symmetry and create Cara Carrol’s adorable symmetrical turkeys!! I loved the way they came out last year and am excited for my class to create them this year! Last week just to get ready for this craft we played a few symmetrical games. I call this one “match mine.” For this all I do is fold a black piece of construction paper down the middle and give each pair a bucket or bowl of tangrams. Then students take turns placing a shape on their side of the line of symmetry. Their partner then must match their move! My kiddos really liked this (very easy to set up) game! I hope you have a great Monday!! Enjoy the Freebie and if you like what you see, please follow me! Mighty Fine and not Chuey’s? That and Christmas before Turkey Day?? We are having an intervention tomorrow morning. 😉 I can’t wait for some Wampanoag learning. Those writing packs looks so cute. Cute stuff you got too. How fun! Thanks for the freebie!! Your unit looks awesome!! I heart those plates! I wish I had a World Market nearby! My house is ready for Christmas, as well! Wow- How lucky your students are to have you for their teacher. I’m you latest follower. I am also going to pin this so others can see how awesome you are. I love those plates! World Market is one of my favorite places to snoop/shop in! And I love your visual plans!